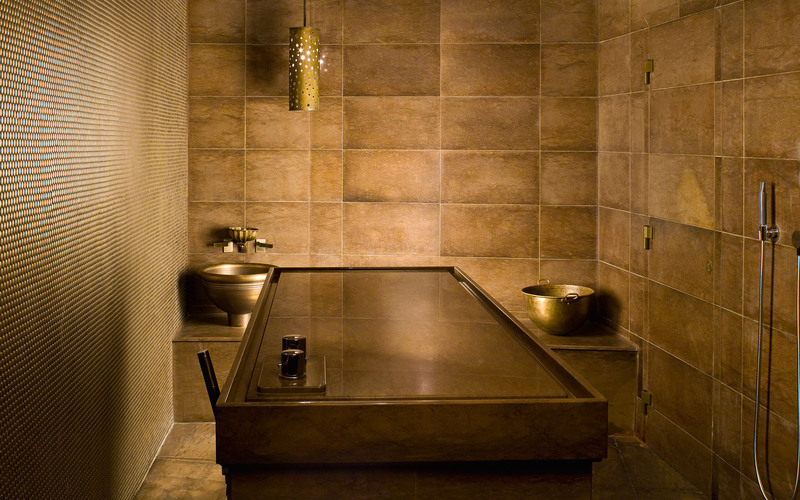 Inspired by Turkish traditions and designs, this bath & spa area aims to reflect the hammam heritage. Old and new stand side by side in this unique, contemporary and luxurious spa. 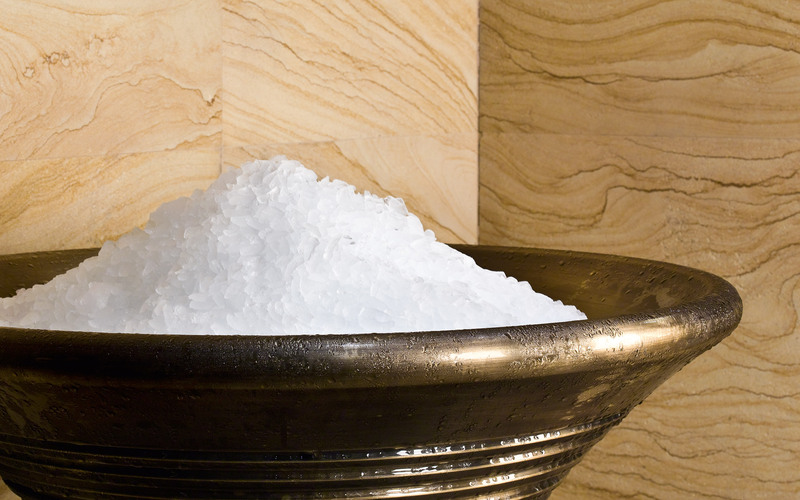 The design of the spa is based on cut diamonds, a theme which reappears in the ceiling of the hammam. It’s all part of the exclusive appeal – because what could be more precious than diamonds? Total area: 2000m² over three floors. 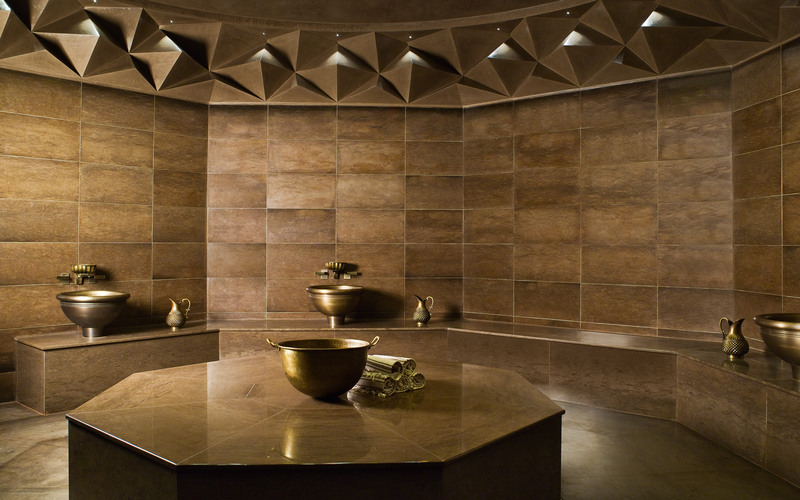 Separate spa areas for ladies and gents, each with a spacious hammam, two steam baths, sauna, wet massage room with SPAVITAL STONE, mud bath and ice fountain. 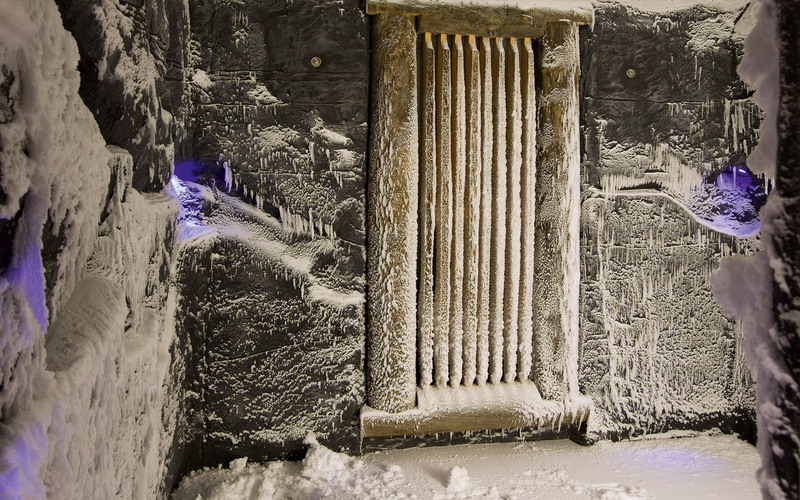 Unisex spa area: sauna, steam bath and SNOW PARADISE®.. VIP Private Spa with lavish steam shower. Pool area with four LINEA heated loungers. 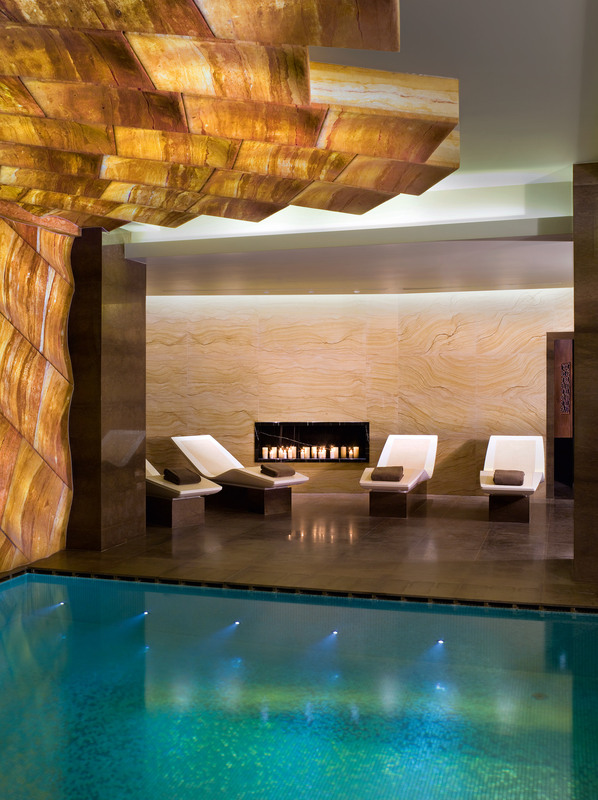 The floor of the pool is tiled with silver mirrored tiles which reflect the elaborate golden ceiling structure. The lighting is also inspired by traditional hammams: the sun appears to filter through filigree patterns in the ceiling, creating an enchanting play of light and shadow on the ceilings and walls.